For more than a decade, Iran has looked to the United States to improve its caliber of basketball. In 2000, the national team even hired American coach Gary LeMoine. Since then, dozens of Americans ― reportedly 37 during one season ― have played on Iranian teams. Jonas Lalehzadeh is among the best-known. Since 2011, the six-foot-five-inch point guard from California has played for the national team and two professional clubs in the Super League, Iran’s equivalent of the National Basketball Association. He was the league’s top scorer in the 2012-2013 season. Lalehzadeh has ties to both cultures, which makes him unusual among the Americans who play ball in Iran. His Iranian parents were completing their degrees in the United States during the 1979 revolution and decided to stay. He was born in 1989. He grew up in southern California, but was immersed in Persian culture and spoke Farsi at home. He had hoped to play professional basketball in the United States, but didn’t get drafted. So he turned to his parent’s homeland. 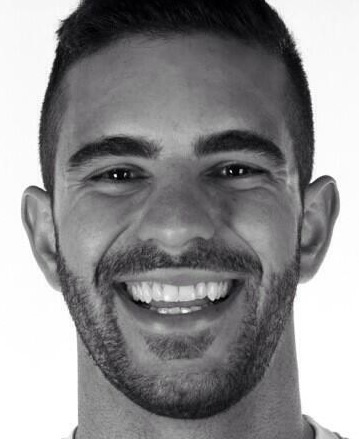 In an interview, he discussed his experience playing basketball and living in Iran as an American. What role can sports play in diplomacy? What do American and Iranians have in common on basketball? Sports can transcend political differences. American and Iranians both love basketball. Many young Iranians are diehard National Basketball Association (NBA) fans. They do whatever it takes to watch American games online. And they know their favorite players’ statistics by heart. Kobe Bryant and Lebron James have huge followings. The NBA’s only Iranian player, Hamed Haddadi of the Phoenix Suns, also has many fans. Iranians recognize the talent of American players and consider them among the world’s best. What is the role of foreign players in Iran? Foreign players, especially Americans, are not only expected to score a lot of points. They are also expected to teach fundamentals to their Iranian teammates and improve their team’s overall ability. Some teams rely heavily on the performance of their foreign players, who are paid up to three times more than their Iranian teammates. As a result, Iran imposes a rule on how many foreigners can play at the same time. During the regular season, each team is allowed to have only one foreign player on the floor at a time. Two are allowed on the court during the playoffs. But most teams have only one foreigner. How is the level of play in Iran? How do Iranian and U.S. styles differ? Iran has one of the best national teams in Asia. It’s won the Asia Championship twice. The level of play has improved significantly over the last decade. Iranians train just as hard as their U.S. counterparts. Friday is the only day off, so they train twice a day, six days a week. In Iranian basketball, big men play with more finesse and move more fluidly. In the United States, the big players focus on power. I have played off guard and point guard in Iran. Iranian guards are more physical than their American counterparts because international rules allow them to be more aggressive. 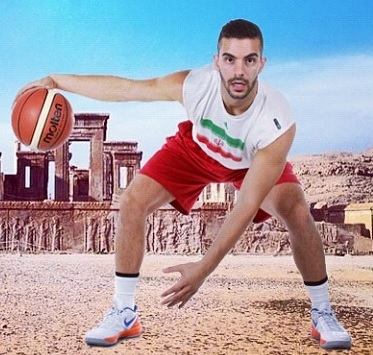 How did you end up playing professional basketball in Iran? What teams have you played for and what competitions have you participated in? I played basketball for my high school. I had a walk-on spot on the University of California at Irvine’s team in 2008. I played for three seasons. In one of the most unusual diplomatic outreach efforts, the State Department and the NBA invited Iran’s national basketball team to play in a summer league hosted by the Utah Jazz. The Iranian team played four games in the U.S. summer league to prepare for the 2008 Olympics. My father contacted the Iranians and told them about me. I went to Utah and trained with the team for a few days. The Iranian coaches were impressed and wanted me to play for Iran in the Olympics. But there was not enough time to get my visa. The Iranian team later invited me to play for the senior national team in 2011. So I skipped my senior season at Irvine and played in international tournaments for the Iranian team in Portugal and Hungary. I decided to stay in Iran to get more playing experience at the professional level. I signed with Petrochimi Bandar Imam (a professional team) for the 2011-2012 Super League season. The team is based in Bandar Imam, a small town in Khuzestan province in southwestern Iran. I helped take the team to the Super League national finals for the first time in eight years. But we did not win. I then played for another team, Petrochimi Mahshar, in the 2012-2013 season. We made it to the playoffs despite the team’s low budget. I was the league’s high scorer during the regular season, averaging about 20.6 points per game. 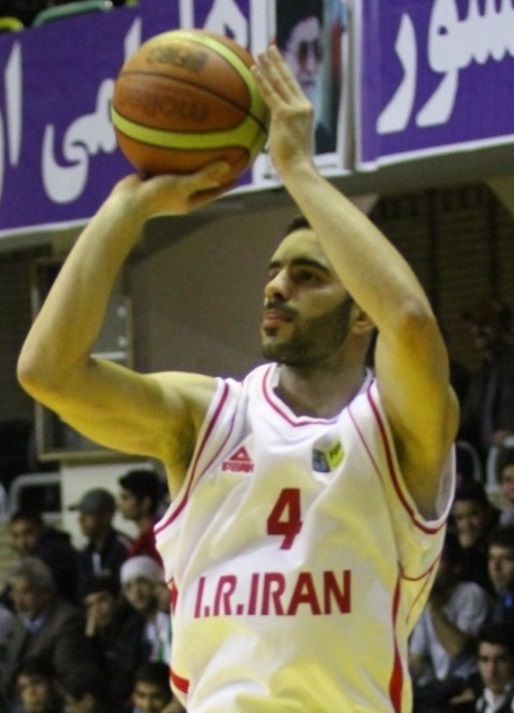 I was also invited to play for the senior national team, which is drawn from players on many Iranian teams, in the West Asia Basketball Association Championship in February 2013. We beat Lebanon in overtime and won the regional championship. The victory qualified Iran for the Asia Cup, which is scheduled for August 2013 in the Philippines. How were you received in Iran? How was the transition? I grew up speaking Farsi with my parents and was already familiar with Persian customs and holidays. Iranians are very warm and hospitable, so they treated me as a guest at first. Learning about my parent’s home country was just as important to me as playing professional basketball. In Iran, print journalists and television media were interested in how I ended up playing in Iran, given political tensions with United States. I felt like an ambassador at times when answering questions about basketball and life in the United States. Many Iranians told me they think highly of Americans despite tension between Tehran and Washington. I was proud to represent both countries. I will do whatever it takes to get into the NBA. I might need to keep playing in Iran to gain more experience. I would also consider playing in Europe or the NBA development league. I have really appreciated the opportunity to play basketball and learn more about Iranian culture. My 47,000 Facebook fans and 9,000 Twitter followers have learned a bit about Iran while following my journey. I actually have not spent that much time in Tehran. The professional teams I have played for are based in Khuzestan, a province populated by many Arabs. I have enjoyed experiencing each province’s unique cultural, culinary and linguistic mix. Garrett Nada is a Program Assistant at USIP in the Center for Conflict Management.